Have you thanked your Guardian Angel today? I never did...now I wish I had. I now understand the hard work and difficult situations they face every day. That car that veered off course, the knife that slipped or even the close call when you nearly tumbled from a tree. It wasn't good luck that saved you, it was me. My name is Adam and I'm a guardian angel. Graham Downs is a South African author of short stories, flash fiction, and novelettes, in a variety of genres. 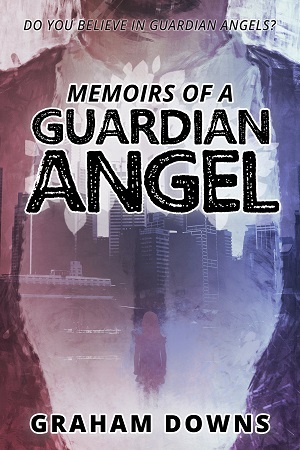 Memoirs of a Guardian Angel is his longest work to date. His latest work, Memoirs of a Guardian Angel, was launched on 6 April 2018, and is available in both e-book and paperback formats, from a wide variety of retailers. Click here for more information. Did you know that you can get one of Graham's e-books free, when you sign up for his e-mail newsletter? Click the button below for more information. Graham Downs is a participant in the Amazon Services LLC Associates Program, an affiliate advertising program designed to provide a means for sites to earn advertising fees by advertising and linking to amazon.com.